Bono pals with one of the youth recepients of the Civil Rights Museum’s “Keeper of the Dream” awards at a public forum at Memphis’ Temple of Deliverance Church on Monday (Oct. 18). 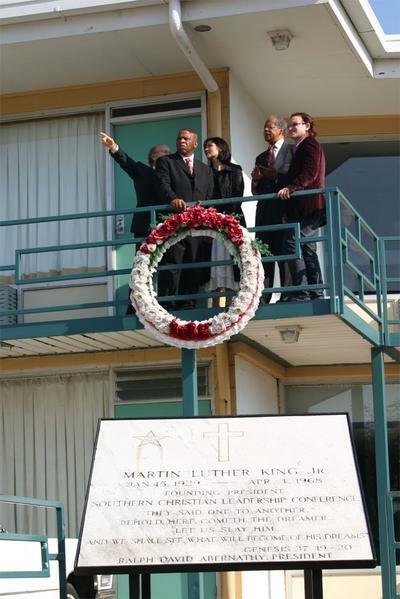 Representative John Lewis (D-Ga), Ali, and Bono visit the balcony of the Lorraine Motel, the location of Dr. Martin Luther King’s assassination. Joseph R. Hyde III, of the Hyde Family Foundation, points in the direction from which the gunshots that killed King came. 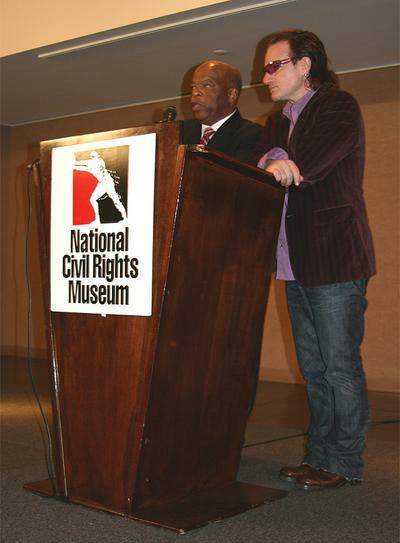 Rep. Lewis and Bono answer questions at a press conference at the Civil Rights Museum. 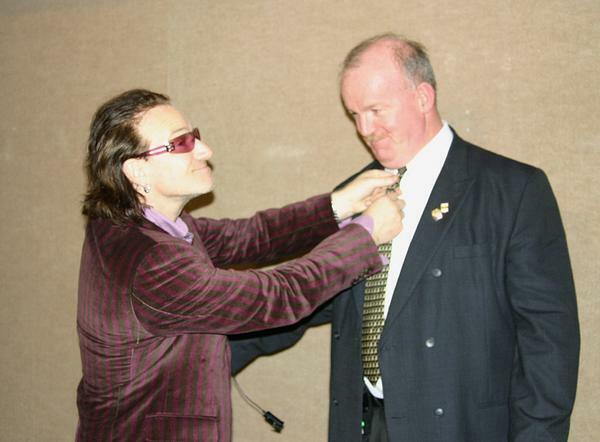 Bono ensures a security guard at the Civil Rights Museum is dressed properly. 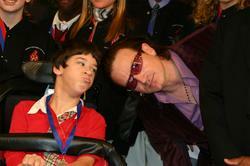 All photos by Ruth Barohn for U2log.com. Please do not use the photos that appear here on your website or forum without explicit permission.